Windows 10 is probably a pretty scary step to make for most. Especially for those who suffered a rude awakening when jumping from Windows 7 to Windows 8, which was a drastic change for most of us. However much you disliked Windows 8, this is the way Microsoft is headed. Might as well get on the bandwagon now, and figure this beast out. 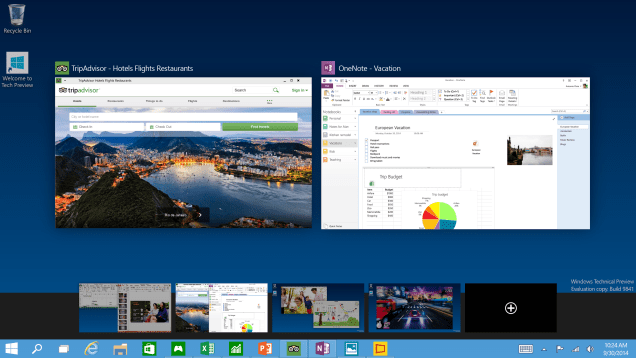 Thanks to Lifehacker’s excellent sleuthing, here are the best features Windows 10 has to offer. Continuum: a better attempt at tablet and desktop integration. This means that the “Apps” pushed on Windows 8 now act differently (correctly) depending on what device you are using. Central Notifications: Finally, all your notifications in one spot. Multiple Desktops: Instead of having your system constantly bogged down by all your multi-tasking, you can now create multiple “areas” that you can easily switch between. Microsoft Edge: The new internet explorer. The note taking and cortana integration make it at least worthy of trying out. Who knows if it will actually be worth using in the long run. It’s novel, to say the least. Cortana: Microsoft’s “Siri” who is pretty spot on if you use it right. Especially on the start menu. The Start Menu: One of their biggest mistakes on Windows 8 was the removal of the start menu. Well, it’s back and better than ever. Rejoice, you change-phobic people! For much more fleshed out information, go check out Lifehacker’s article and see all the cool pictures and links they have to convince you of Windows 10 not being so bad after all.